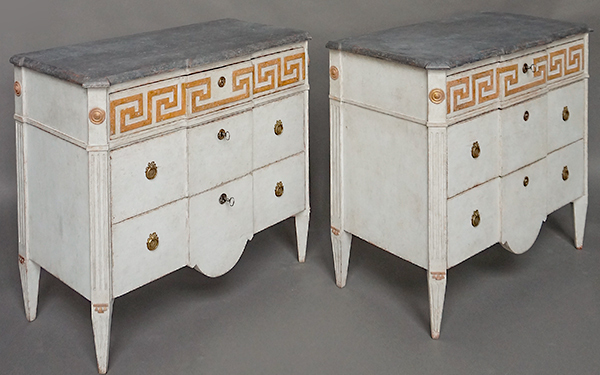 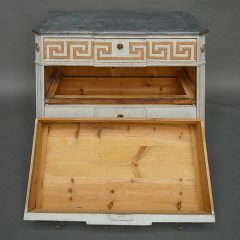 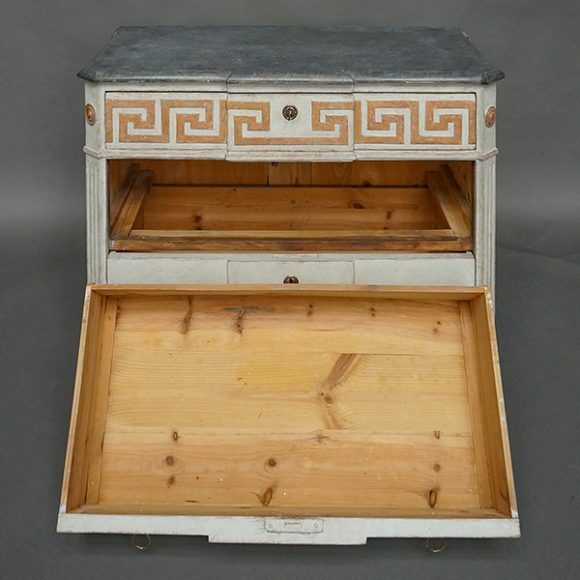 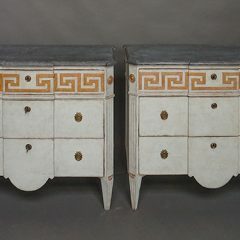 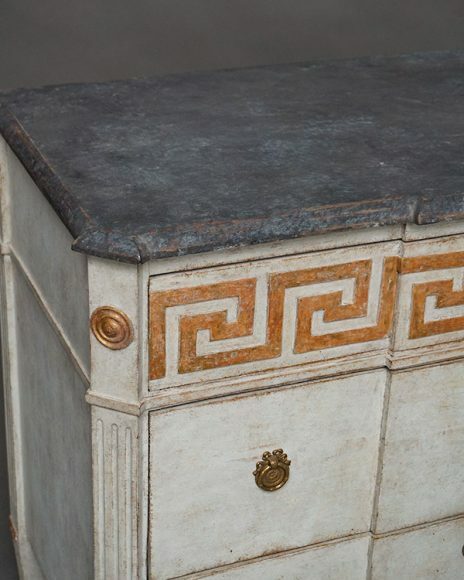 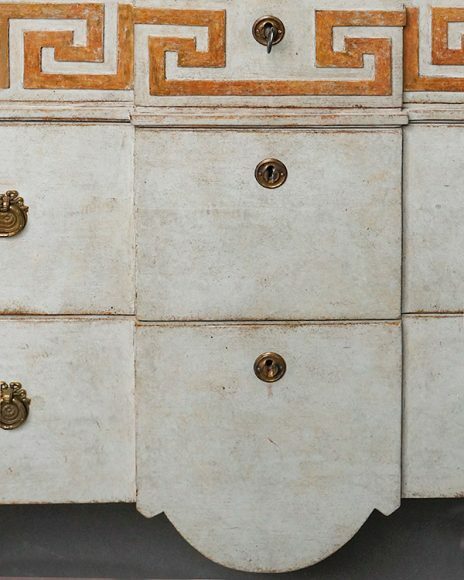 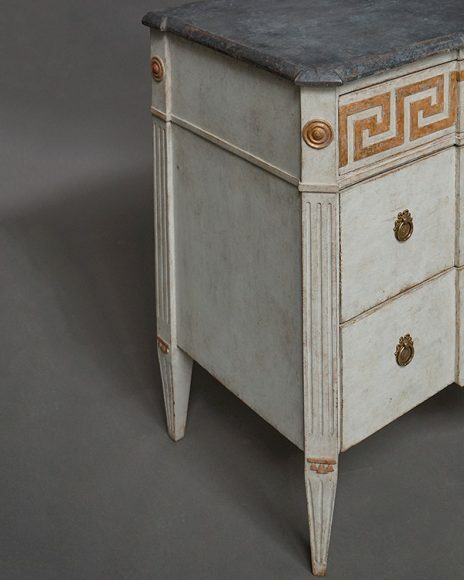 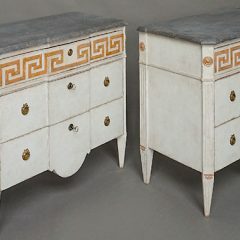 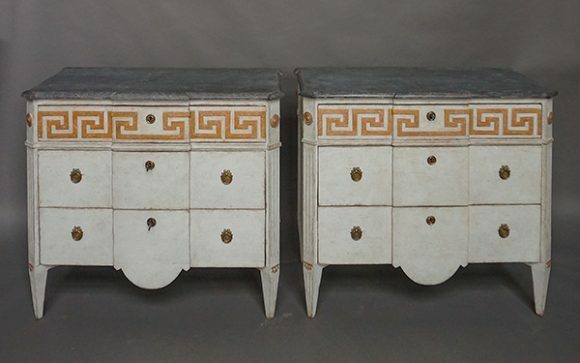 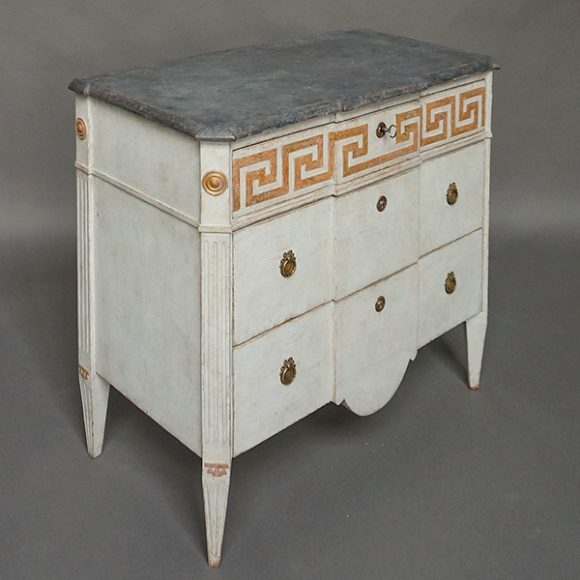 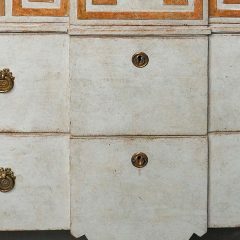 Pair of Swedish commodes, circa 1840, with paneled facade, the top drawers having raised Greek key molding. 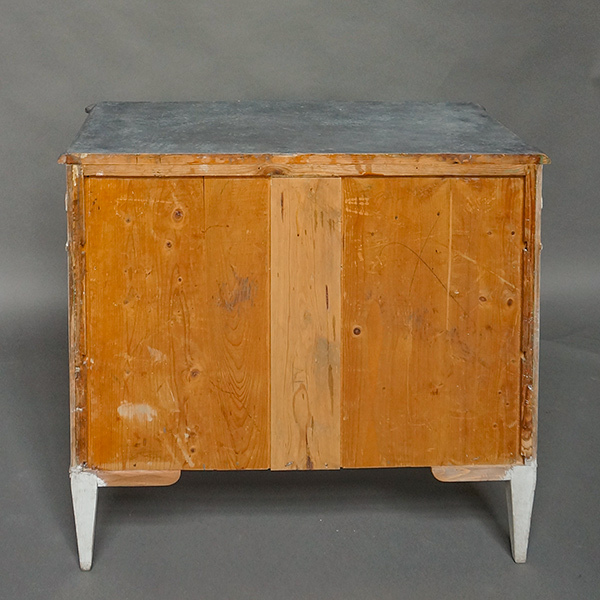 Shaped top and canted corners with rondels above reeded corner posts and tapered legs. 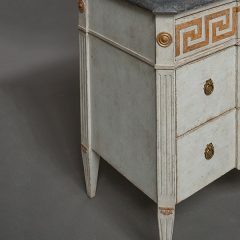 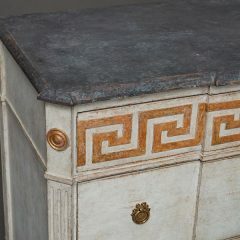 The boldly curved aprons on the bottom drawers add to the great presence of these pieces.